There’s only one way to become a better writer, and that is through lots of practice. Some people are born with talent. Writing comes easily to them, but even the most talented writers have to work at the craft. After all, nobody’s born knowing how to write. Fostering good writing habits accomplishes two things. First, good writing habits ensure that you write regularly, and as we all know, the only way to become a writer is to actually get the writing done. Second, by writing regularly, you get plenty of writing practice, and your work improves. In other words, good writing habits are essential. Below you’ll find a list of essential writing habits that will benefit your writing skills. Try introducing one habit into your routine each month. By the end of the year, you’ll be well on your way to becoming an expert in all things writing. Establish a writing schedule and write daily if possible: Whether you write for three hours a day or fifteen minutes a day, daily writing is the most critical of writing habits. It’s better to write for fifteen or twenty minutes every day than to binge for five or six hours over the weekend, but if you can establish a daily writing schedule with longer sessions on weekends, then all the better! Don’t forget to read: I can’t stress how obvious it is when a writer is not well-read. Lack of reading will be apparent in every sentence. The importance of reading cannot be overstated: read as much and as often as you can. Finish what you start: One of the worst habits a writer can acquire is to never finish anything. Shiny new ideas are always tempting us away from our current projects. Occasionally you’ll find yourself in the midst of a project that is so problematic, it should be set aside, permanently. But the vast majority of projects deserve to be finished. Even if they never get published, you’ll learn from the experience, and you’ll be rewarded with a sense of accomplishment. Show your work: Speaking of finishing what you start — once it’s done, share it with others. Post a scene on your blog, send a poem around to a few friends, round up some beta readers and let them assess your project and help you improve it. And if you’d like to be a professional author, always keep your eye on the goal: publishing your work to the marketplace. Know your craft and industry: As a writer, it’s important to understand things like grammar, spelling, and punctuation as well as the importance of editing and polishing your work before you show it around. It’s just as important to familiarize yourself with the industry — from publishing to marketing. Make it your business to understand the craft and trade by working good habits into your schedule: edit everything you write, consult grammar and style guides when necessary, learn to properly format your documents, study the publishing industry, and make sure you understand the many ways that authors can market their work to a reading audience. 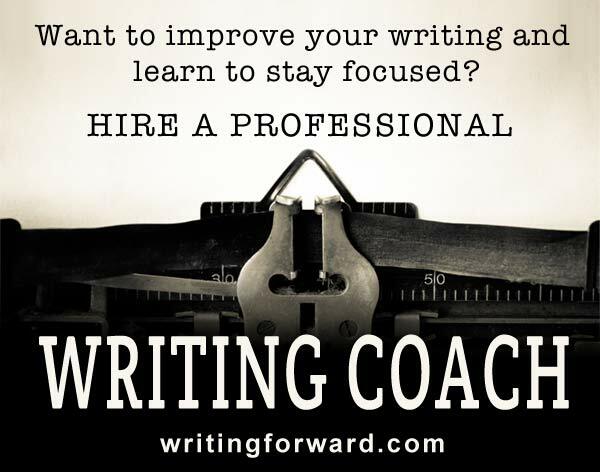 Improving your writing is hard work. Maintaining a regular writing schedule is even harder, especially with so many distractions that are vying for our attention. Adopting these writing habits might mean making major changes to your routine. If you love to write, the work will be fun at times. Other times, you’re just going to have to grin and bear it, knowing full well that the ends make the means completely worthwhile. If you want to be the best writer you can possibly be and produce great writing, then commit yourself to these writing habits. How many of these writing habits have you adopted? Are there any that you’d like to cultivate? Share your thoughts, ideas, and experiences by leaving a comment. Great post, lots of good advice. I think rewriting helps one learn a lot about the craft of writing. I took a year to finish my first novel and another eight months working on the rewrites. It was those rewrites that taught me so much about good writing. When you write something, leave it for a couple of days, then come back to it with fresh eyes. I think that young or new writers often skip revisions and it is only when a writer embraces rewriting that he or she truly blossoms. Yes, rewriting is good. I recently started a blog, hoping it would help me to write more often. While I’m still not sure I’ve got anything new or special to say, I’m enjoying the process of putting my thoughts to the page. Even if I never write a book or short story, I intend to learn everything I can and make my blog the best it can be. Thanks for your generous sharing of information. One of the most valuable tips I give people, that really works for me, is to understand when you’re best time of the day is for writing and go with it. For me, I write with much more fluidity in the mid to late afternoon. I’m not sure why, that’s just the way it is for me. Possibly because in the mornings I’m too caffeine-starved and in the evenings I’m bust after a day’s work. As a result, I get all my admin, e-mails, meetings and such like out of the way by about 2pm if I can and get on with whatever reports or plans I have to write after that. My best writing time is late at night. Sometimes I write (in my mind) while I’m trying to fall asleep, which is frustrating because often I’m too tired at that point to take notes. On the other hand, usually by then all my admin and tasks are completed so I’m free to sleep or write as I see fit 😉 Writing is a regular part of my daily routine because of this blog and my copywriting business, but making time for creative writing (fiction and poetry) is a real challenge. I agree that setting up a routine around your best writing time is ideal. That’s a great idea. My phone is backlit, so that sure would be a good system. Thanks for the tip! 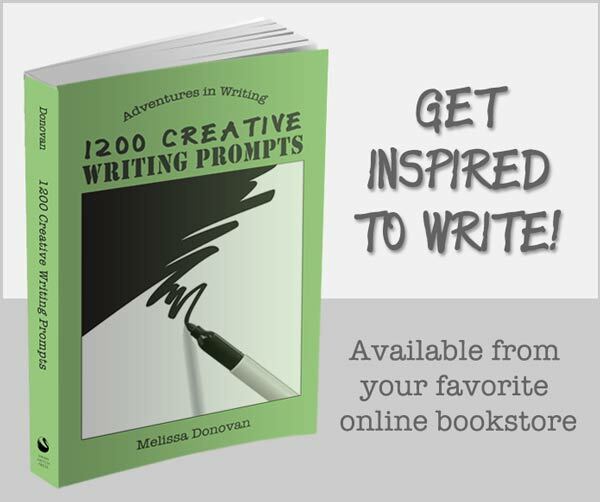 Thanks so much for these great tips…all good reminders of how to find ideas and polish your writing. Something I’ve found helpful: Keep something to write with handy at all times, because you never know when a good idea will make itself known. I keep small writing pads in my purse and in my car so if I suddenly get an inspiration for an article, a story title, an inspiring phrase, or an idea for improving something I’ve written, I can get it down on paper before I forget it. Ah yes, we’ve covered this tip in a few other posts. Writers should absolutely keep a notebook or recording device handy at all times. The best writing ideas tend to come along when we’re anywhere but at our desks! There are a multitude of skill sets required for writing and I am trying to learn them. As you say it is difficult to find the time to squeeze everything in but I do try to write every day – even if it is a short piece for my blog, a writing prompt or a poem. Doing it (writing) is certainly the best way to improve. Writing is the best skill to learn in this modern world. Unfortunately, I lack this important skill myself, I will try my level best to follow you tips. Thank you. Writing is a vital skill these days. I wish you the best of luck in improving your writing. I would love to hear some personal experiences from others. Hi Andy, It’s wonderful that you’re working to strengthen and improve your writing skills. I believe that development happens differently for everyone. You might experience gradual improvement or you might go through a series of breakthroughs. Most likely, you will experience a combination of both (that was my experience). I wish you the best of luck in business and in writing! Your dedication to improving your skills is admirable. Great writing takes a lot of practice, but it’s achievable when you’re dedicated to learning the craft and fostering good writing habits. I wish you the best of luck! Thank you very everyone for your tips especially Melisa. I myself have just been made aware of my writing skills which I never realised by one friend of mine and I appreciate him for that.I am a b-tech graduate in project management and currently looking for a job. Personally I am not an articulate speaker but. I could narrate all of my feelings and thoughts on paper. I always thought I am artistic just do not have required confidence and maybe courage to persue whatever it is that I am worth or deserve because of my personal background but I passed that now I seeked help and I think I am ready to persue my career as well as writing part-time. That’s wonderful. I wish you the best of luck in your writing journey! It was very useful. I have started reading books to improve my writing skills:) hope very soon will shine well through my writing skills. Reading is definitely the best way to improve your writing skills. Happy reading to you! I love to write and create my own little works of fiction. I have three little brothers that I enjoy writing short stories for. Usually I jot down ideas when they randomly appear and they turn out to be wonderful stories. Sadly, I also have a difficult time processing how I’m going to take the image in my head and put it on my paper. Any advice for this? The only advice I have is to practice. You have to sit down and start the process, get the story onto the page. At first, the text may be jumbled. You’ll have to rewrite and revise to clean it up. It’s hard work but it’s immensely rewarding. This writing tips are just awesome. Thanks for the tips Melissa, I’m gonna start using them. Thus the saying “writing is rewriting.” It’s great that you’re capturing your ideas in messy rough drafts. For lots of writers, the hard part is to go through those drafts and clean them up, revising them into polished final drafts. Hello Melisa, I will definitely utilize your tips to improve my writing. I am listing few of the problems why my writing is not that good. Hopefully, you can give me some additional tips to improve my writing. English is not my native language. I don’t read much nor write much, and I don’t associate with people that English is their native language. By the way, i love to read and write. I just don’t do it as much. the reason why i am posting this is because i did not get a promotion. i was told that my writing was just average. Hi Alex, most of the tips I would give you are in this post. It will be impossible to improve your writing if you don’t read and write, and if you love to read and write, you should do it more. There are tons of ESL (English as a Second Language) resources on the web to help you with translations and memorizing vocabulary. Good luck to you! Thank you very much for the encouraging,helpful post. Being a potential writer,and seeking for guidance on polishing my thought, I have come to appreciate the contents of this post. I have really benefited a lot from it. Thanks once more. Although I have always wanted to make writing a habit to become comfortable in it and develop as an art, I had somehow left writing last on my daily-to-do-list. Having read you enlightening piece I hope to improve my writing skills now. Why is it so easy for us to push our passions to the bottom of the list? Lots of writers leave writing for last. As we all know, we often don’t ever get to the last item on our to-do list! I say move writing up and make it a higher priority or set a strict time for it every day! Good luck to you Ruchi. I came across you site while searching for ideas and tips to assist my 8 year old in the writing process and maybe find concrete instruction and steps for learning to become a good writer. By the way, he loves to write. I would appreciate any help and guidance. Thanks!!! Hi Ron, I would suggest you consult with the school or your son’s teacher if he needs help with his writing. You may also find helpful resources at the local library (consult with the librarian in the children’s section). Beyond that, the best thing he can do to help his writing along is read as much as possible. I have started blogging as a new year resolution for this year.To be frank it took me 2 months to even consider writing down anything on my wall.I am so happy to come across your post as i was looking forward to a step by step process to start an article.In fact i am going to make it a point to pen down my thoughts everyday before hitting the bed. I love writing before I go to sleep. Good luck with your new blog! Thanks for your kind words, Ritesh. Good luck with improving your writing! Reading, naturally, is crucial. I work at home, and I recently redesigned my daily routine to do more reading at the start of my day as opposed to at the end of it, as I used to. Before the change I did my best to write first thing. But I find reading first instead gets my mind in gear better for any writing I do later in the day. I think it’s easier for me to ease into reading most things than it is to ease into writing them. Excellent advice, my friend. I truly believe that there must be practice, practice, practice, in the life of a writer. No matter what the subject matter, use writing as your venue. And, practice with your hand and a pen as well, don’t ever give up the many ways of writing. I am beginning to explore who I am as a writer. I have been devouring books since I learned how to read! Reading takes place mostly in the evening. I am now beginning to share information about my reading on my blog. Writing and journaling typically happen in the morning. I am determined to become more routine about this process though (even though I abhor routines)! Thank you for sharing! A reading and writing routine is wonderful, and it sounds like your routine is working well for you. That’s awesome, Aletha. Wonderful article, Melissa! Knowing your craft and industry is a big one, and will be extremely helpful in the long run. I find a couple good writing habits are to just use your own voice, be unique, don’t worry about sales or publicity, and use an outline because it helps you to create a step sheet of where exactly your book is going. I especially love “use your own voice,” although in the beginning, we have to find our voice, which can take some time. Thanks, Anita. I am 62 years old, and currently attending Central Michigan University as a Junior, working hard at an English/Creative Writing Doctorate. I know that this blog is repeats, but I am learning practical applications for my new writing process. I believe the basics of good writing never change. I have a story in me that is frantic to be put to paper. As a result your advice is being devoured. I applaud you for attending university. I’ve always been an advocate for higher education whenever possible, no matter one’s stage or station in life. Repetition is an important learning tool. I’ve read countless books on the craft of writing, yet even when I read books that repeat lessons I’ve learned before, I find that the repetition serves as a refresher and a reinforcer of the tools and techniques of good writing. Thanks so much for commenting.